Southridge Winter Series Starts Next Month! Courtesy of RPM Cyclery of Lake Elsinore, California. This is the Fezzari Alta Peak. It was sent to us to test and review. It’s spec’d out with some of the best names in the business such as Shimano, Truvativ, Rockshox, Maxxis and more. I’ve taken out this bad boy on the local trails and so far so good. I love the fact that it has front and rear lockouts, which made my climbing so much easier. The 4 bar suspension cuts back on the pedal bob but it isn’t stiff at all on the downhill sections. 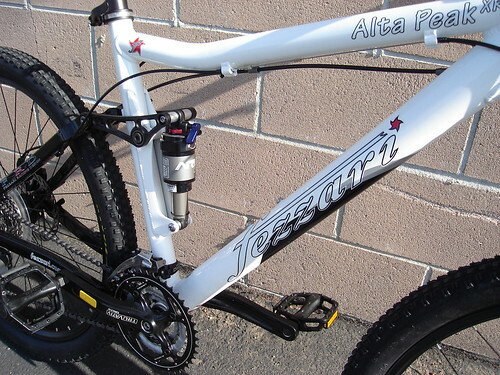 For more information about the Alta Peak, check out Fezzari Bikes. This is news to me…I’ve never seen or heard of a lady wrench before. Nothing wrong with it and I’m all for equality and stuff. I just thought it was pretty cool. â€œWorking in a trade as a woman is pretty difficult. Sometimes people come into the store and ask to speak to a mechanic, even when Iâ€™m behind the counter. The men working there are all really aware of that. So if people second-guess the women who are working there, theyâ€™ll just look at them and say: â€˜What she said. She knows what sheâ€™s doing.â€™ They really support us on that, and I think thatâ€™s really amazing,â€�? she says. â€œItâ€™s the first time people have been really conscious of that in a job that Iâ€™ve worked at.â€�? You can read more about Lisa Marie HERE. We know what you’re thinking: extreme ski biking is cool now? Or alternatively, who the hell would get on one of these? Just take our advice, next time you find yourself off-piste, keep your eyes peeled for Ktrakers — crazy people who’ve bought a universal attachment that replaces the wheels of a mountain bike with a track drive and an optional front ski. Apparently the Ktrak’s insane appeal comes from its ability to let cyclists ride over previously inaccessible surfaces like snow and sand, as the company’s videos demonstrate. 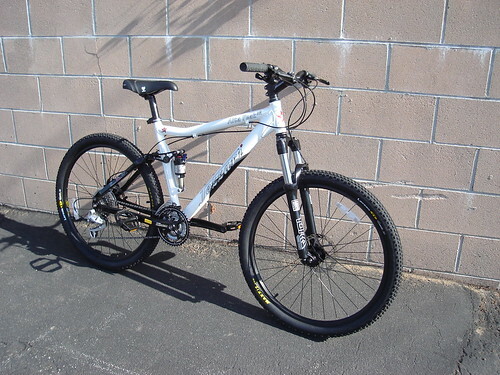 Due for a production run in early 2007 (priced at a reasonable $400 for the track and $140 for the ski), the Ktrak is apparently very easy to install and ride, and adds only 5-pounds to the average mountain bike’s weight. If you can manage to convince your brain that this thing actually exists, your biggest problem is going to be getting your hands on one before everyone else: to that end, you can reserve a kit for $300, as long as you get your pre-order out before January 1. For those of you that are big 29r fans, Ibex Bikes is planning to launch their own version of a two niner bike. Here’s a pic from of what the frame looks like. Section 29: Planned for spring 2007, the Section 29 is our first 29er MTB introduction. It will be a high-spec 29″ hardtail with aluminum frame, suspension fork and disc brakes. The Section 29 brings an new dimension to the IBEX lineup for 2007. Man I love that gold color…Bling Bling! 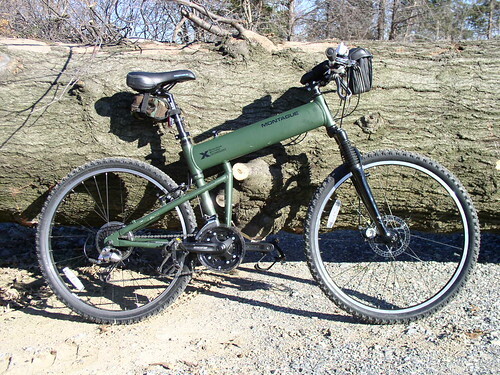 For more information about Ibex Bikes, check out their SITE! DECEMBER 14, 2006 — DANA POINT, CA (BRAIN)–Bike magazine has enlisted veteran editor Alan Davis to manage its web site, www.bikemag.com. 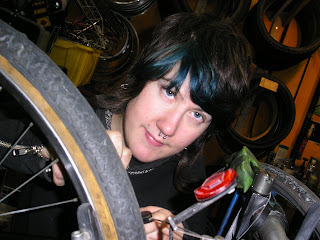 Davis has a decade of industry and publishing experience, and is widely respected within the mountain bike community. For the past four years, he has served as the senior editor of Mountain Biking magazine. As web editor, Davis will be responsible for turning the web site into an online portal for mountain bike information, covering everything from racing to contests and personalities as well as providing fresh news, videos, product reviews, trail guides and other features. â€œWith Davis at the helm, we plan on building the industryâ€™s strongest online community and giving visitors a reason to come back daily,â€�? said Lou Mazzante, Bikeâ€™s editor. â€œIâ€™ve always been impressed with what Davis has been able to accomplish at Mountain Biking. What he did there was a product of his hard work, determination and passion for the sport. Plus, he knows almost everyone in the business, from product managers to athletes, so the transition to Bike should be seamless,â€�? Mazzante added. At Mountain Biking, Davis occupied the magazineâ€™s top editorial position. His photographs have appeared on countless covers and he was responsible for writing and editing the majority of the magazine. Prior to that, he spent six years as an aerospace engineer and also has wrenched at several bike shops in Southern California. Quick links: One-click access to topics in this article. Tuning derailleurs have always intimidated me. Everytime that I mess with them, I make it worse. So I turned to RL, our resident master wrench, for some advice. Here’s the basic procedure with illustrations. We used the Ibex Trophy with a Shimano Deore LX derailleur. Your bike maybe different but the same principle applies. First, make sure that the tension on the cable is adequate. It should feel tight like a guitar string. If it’s there’s too much play, then tighten the cable. Try shifting again. If you’re still having shifting problems, keep reading. Start cranking the wheel and turn the adjusting barrel to the left while counting the turns until the chain jumps to the next cog. Once the chain has jumped to to the next cog, shift all the way down to the smallest cog. Turn the adjusting barrel all the way to the right. Then turn the adjusting barrel 1/2 the number of turns, counter clock wise, you counted (for example, if it took 4 turns for the chain to jump to the next cog, then you turn it 2 turns). You should now be able to shift gears without hesitation. If you see that there’s a little hesitation, adjust the barrel slightly, taking half turns counter clock wise until you are satisfied with the shifting. Hope that helps, we just saved you $20-$30! Ever run into bike snobs? I can’t stand those guys. All I have to say is Bring IT! When the tires hit the dirt, bike snobs are nothing but a bunch of Freds!